Steeks!! Steeks!!! Don't we all love Steeks!! Not but they sure solve a lot of problems with Fair Isle sweaters. They eliminate purling back across a row with two colors and trying to read the charts backwards. 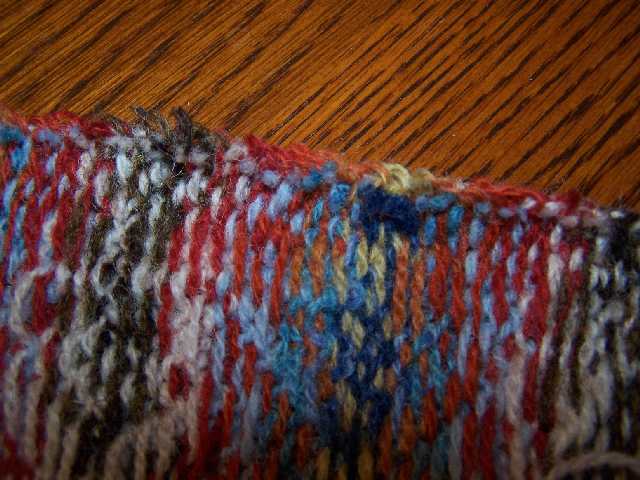 They let you spit splice colors in the center of the steek and eliminate all those ends to sew in. And lastly, once your online guru knitter friends and a bunch of books help you out, you learn how to neatly crochet the steek center, cut and end up with a perfectly secured edge with no raveling. 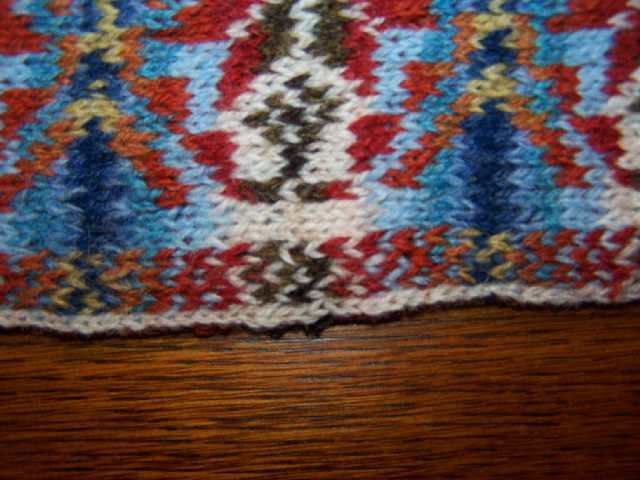 Next steek will be planned a bit better for contrast of color in the center rows. 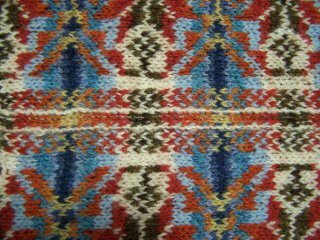 this steek was 12 stitches wide with the center two the same color, pattern in this case with the outside two rows in background and the ones in between speckled. . Next time I think I would do the two center in darkest color and the one on each side in the lighter color. Would make finding the edges of the steek a lot easier. One shoulder is three needle bound off, the other is next. Then on to pick up for neck ribbing and then for sleeves. The end is not in sight but it's a lot further along now that the steek cutting is done. You are so brave. I can't even look at steeks without getting queezy. i think that is soooo cool! 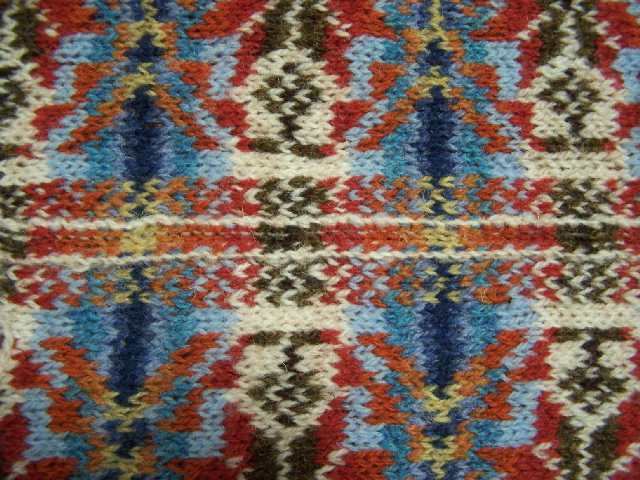 i would love to try a project with steeks, but that would also mean trying a project in fairisle.